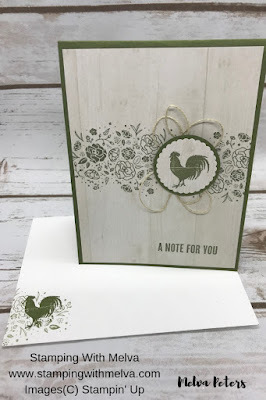 Today I'm featuring the Wood Words stamp set. It's fun to go back to a stamp set that you haven't used in awhile and combine it with a new product from the latest catalogue. 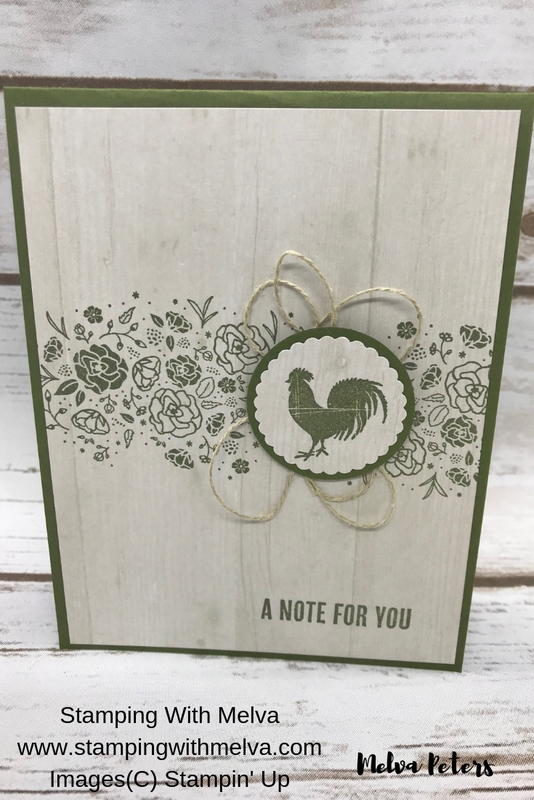 For this card I added in the Floral Romance Designer Series Paper with the light wood tone. Isn't this clean and simple! Score Mossy Meadow card stock (4 1/4" x 11") in half to make card base. 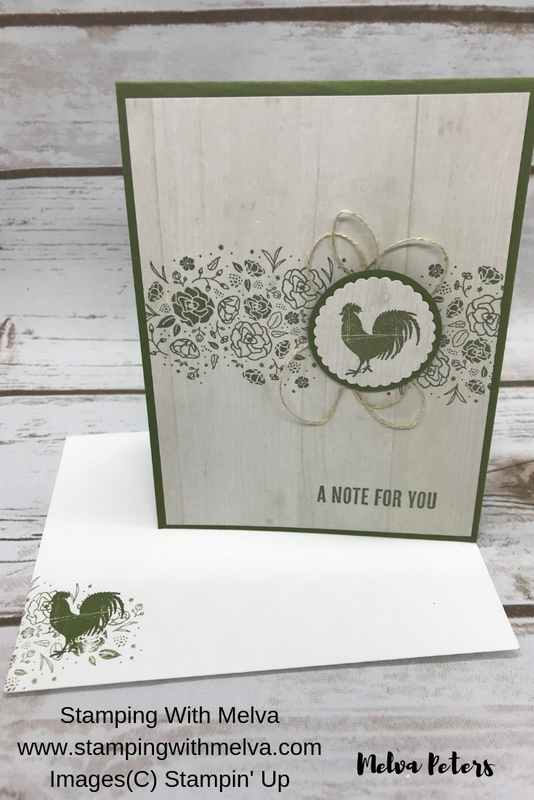 Stamp the rooster image on a scrap piece of the same Designer Series Paper in Mossy Meadow. Punch out with 1 3/8" Scallop Circle Punch. Wrap line thread around the fat part of your hand about 3 times and pinch in the middle. 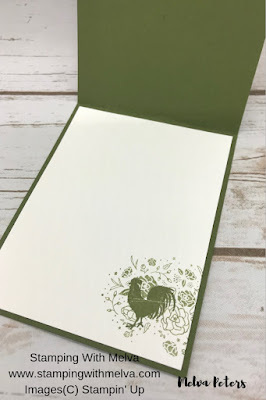 Adhere to the card over the flowers using Snail. 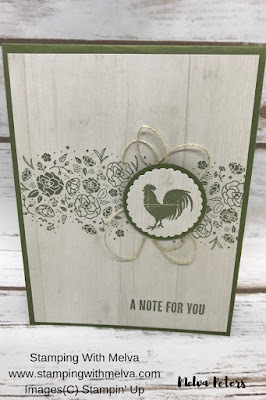 Stamp sentiment on bottom of card using Mossy Meadow ink. Stamp rooster and flowers on inside of card and on envelope. Never send a naked envelope! When you place a $50 order (before shipping and taxes) using the Host Code BET3BVQX, I'll send you four cards and instructions by mail as a thank you. If your order is over $200, please do not use the Hostess Code as you'll qualify for Stampin' Rewards, but I'll still send you the 4 free cards!